A twisted delight for nature lovers. Prepare yourself for a botanical tour of wonders like no other: an exotic concoction spawned from the imagination of a master designer run amok! 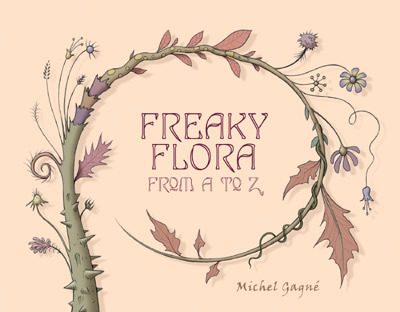 The perfect companion to Gagné’s popular “Frenzied Fauna: From A to Z”. Click on icons to see inside images.